A dozen Kanye West songs get graphic illustrations in the rapper's third book of the year. Like the first two, "Thank You and You're Welcome" and "Glow In the Dark," the 80-page "Through the Wire: The Words and Lyrics of Kanye West" is scant on text. But what would one expect from a self-proclaimed "proud non-reader?" For the latest book, which hits stores this month, the Chicago rapper teamed with Academy Award-nominated Bill Plympton, whose work has been published in The New York Times, The Village Voice, Vogue, Rolling Stone, Vanity Fair and others. He's worked with West in the past, animating the music video for the single "Heard 'Em Say." 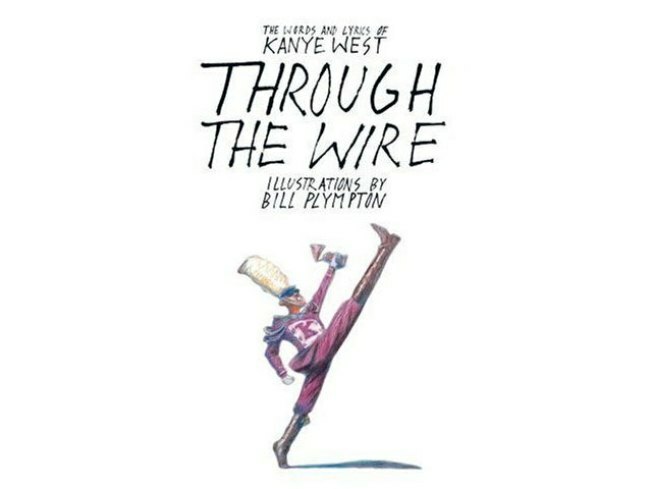 "Through the Wire" is said to be a graphic memoir of West's decision to drop out of college to pursue a music career. From RadioFacts.com: By interweaving picture with song, "Through the Wire" illustrates a remarkable timeline of Kanye’s journey, undoubtedly providing readers the most vivid analysis of Kanye’s life and lyrics to date. It offers not only a collection of the life lessons behind the songs that propelled Kanye into mainstream stardom, but also gives a closer look at the rise of pioneering superstar.